After months of anticipation and excitement, it has finally arrived on Australian shores. The Hollis Explorer Sports Rebreather had a chance to be put through its paces in Sydney, Australia as four prominent Sydney dive store owners had the opportunity to complete their PADI Rebreather Diver and PADI Advanced Rebreather Diver Courses with PADI Rebreather Instructor Trainer, Rubens Monaco on this new and exciting rebreather. As most of the guys on this course had already dived other types of rebreathers, it was interesting to see their attitude to this unit. As it is a sports rebreather aimed at the recreational market, it might have been easily dismissed as a simple unit without too many features. However, as the guys discovered quickly, this little unit might look easy to use and is, but the features inside makes it one of the most technologically advanced rebreathers on the market! The course itself, which took 4 days to complete, was run in Manly from 20th – 24th May. This gave us the opportunity to dive the units at Shelley Beach. It was plain to see from the very first dive some of the advantages of diving the unit in an area full of marine life. The comments from the students clearly indicated a more natural behaviour between diver and marine animals and the ability to get closer was awesome. Of course the guys also had the opportunity to complete a few boat dives and get a bit more depth on the units. Again they were impressed with the Explorers’ ability to extend the time of the dive and enhance the experience with the marine environment. 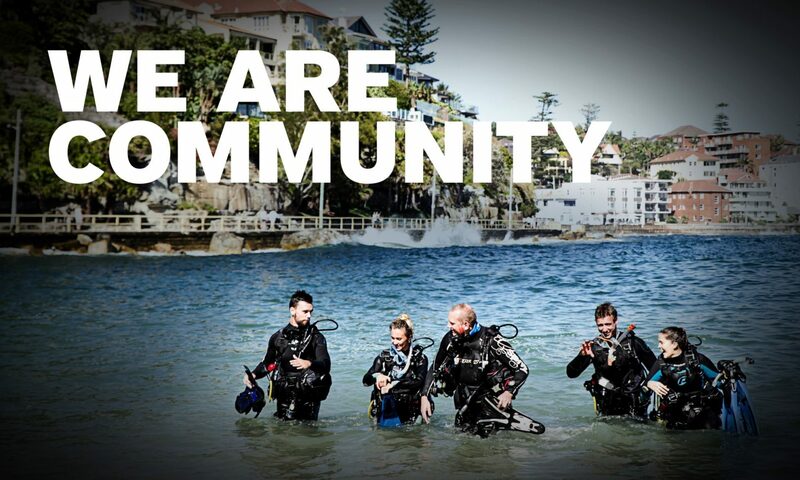 Congratulations to Peter Letts – Abyss Scuba Diving, Peter Cross – Sydney Dive Academy, Nic Rewitt – Newcastle Dive Centre and Richard Nicholls – Dive Centre Manly, on completing their PADI Rebreather and Advanced Rebreather Diver Courses on the Hollis Explorer. Also a special thanks to Richard Nicholls and partner Janet for hosting Rubens and the courses at their impressive facility in Manly. Previous PostPrevious Project AWARE: Finathon Champion Andrew Barrett is swimming to end finning today!